Saturated colour, sensor mutilation and seminal film flicker take over two floors of The Brunswick Club. Avant-garde film pioneer Malcolm Le Grice introduces a selection of his films including Little Dog for Roger (1967) and the dual 16mm version of Berlin Horse (1970). Peter Tscherkassky’s sensual and spectral The Exquisite Corpus (2015) completes the screenings. Performances Destruction of an Image Sensor by Stephen Cornford and Bicycle Tyre Tracks by Vicky Smith punctuate the evening alongside moving image artwork by Dani Landau, Roderick Maclachlan, Stuart Moore, Alex Nevill and Lucy Williams. Feat. Malcolm Le Grice, Peter Tscherkassky, Stephen Cornford and Vicky Smith etc. Entry £5, on the door. 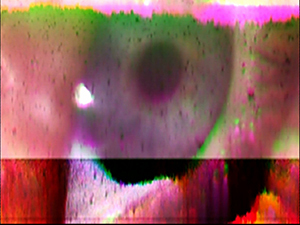 A University of the West of England (UWE), Moving Image Research event - http://www.mir.org.uk.